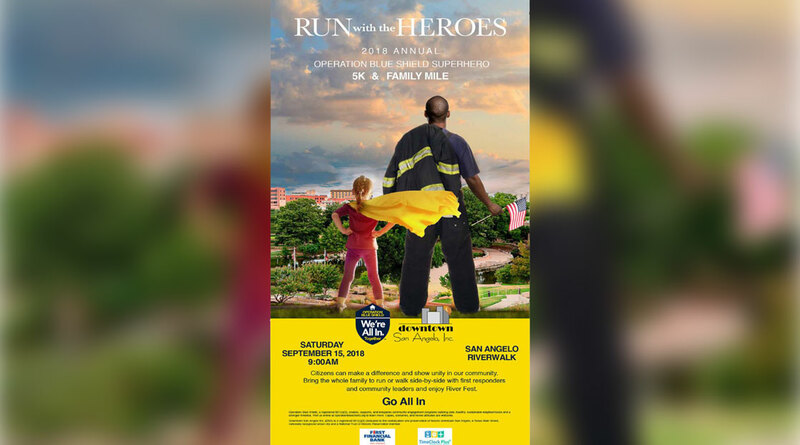 SAN ANGELO, TX — San Angelo Police Department sent out a reminder for people to register for the 2018 Run with the Heroes event. Operation Blue Shield Superhero 5K & Family Mile will be held on Sept. 15 at 9:00 a.m. at the San Angelo Riverwalk. Pre-Registration & Pick Up Packet is Sept. 14 from 10:00 a.m. to 7:00 p.m. at 30 W. Concho Ave. The opening ceremony will be at 8:45 a.m. and will be closed with an award ceremony. The Run with the Heroes Event will be the first event of the River Fest.